I was looking up the Mad.Good Café online and I stumbled on Urban Dictionary’s definition of Mad Good – Praise, exclamation, delight. Yes, this café is suitably named. Chef Asa’s passion for food is clear as he sets about making it with a focus on fresh, local produce. There is a genuine sincerity and honesty that appears on every plate delivered from the Fullarton Road café. The Mad.Good food venture is in its infancy and I’m excited to see where it heads. They have started with a brunch menu which we had the opportunity to sample. My favourite dish of the morning was the Sweet Potato. I am not a vegetarian and by no means am I a health nut. To be honest the mention of the word kale usually has me turning my nose up and scrolling down the menu for another option. 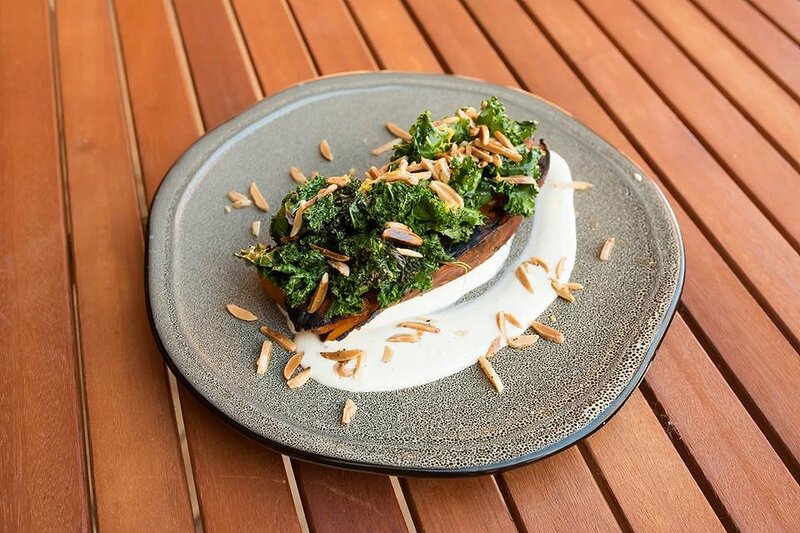 On this occasion, the crispy kale played deliciously off the earthy sweet potato that was full of flavour, baked in its skin. Slivered almonds added even more crunch, making it a delight to eat. A dish like this cries out for sauce, and here a sumac spiced yoghurt finishes it off by binding all the flavours together with a fresh, light twist. The Banana French Toast is a decadent feast of dense banana bread, lightly pan fried and sprinkled with sugar. Like a sponge it absorbs the intense soy chocolate fudge sauce and maple syrup that has been drizzled over the toast. 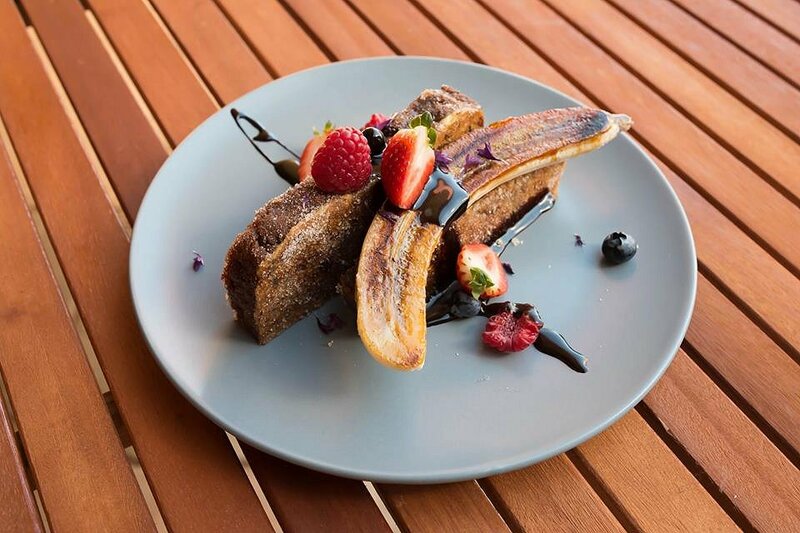 The dish is finished with half a caramelized banana and some fresh berries, a perfect indulgence to start the day. There is nothing more on trend than a Smashed Avo and Mad.Good have added it to their menu. Creamy and well-seasoned, here it rests on golden toast under a medley of cherry tomatoes. 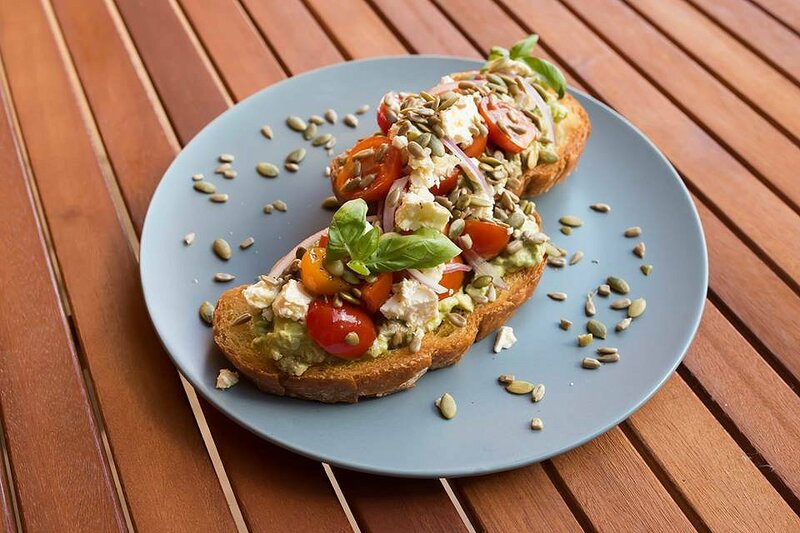 Sprinkled with mixed seeds and a good serve of feta, it was the generous buttering on the crunchy ciabatta toast that stole my heart in this dish. We were presented with another breakfast favourite of silky slices of Smoked Salmon. The fish was complemented with the clean flavours of shaved fennel, backed with a light citrus aioli and Spanish onion. 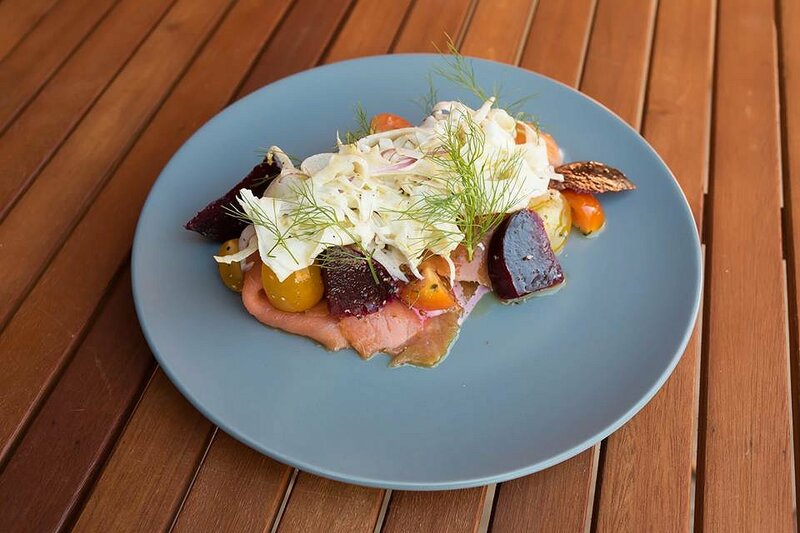 More healthy ingredients in the form of chunks of roasted beetroot and heirloom tomatoes rounded off the dish, a great choice for those looking for a light, carb free option. If you can’t decide between a sweet or savoury brunch then the Pulled Pork Burger could be just what you need. 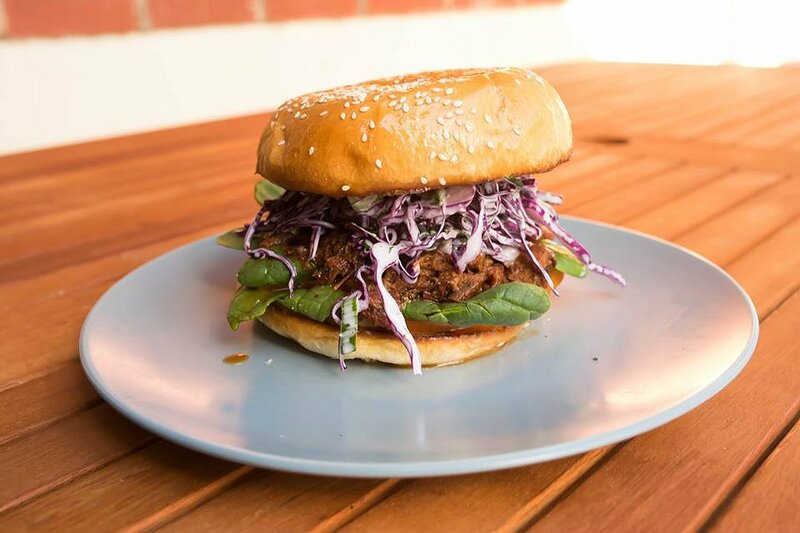 The decidedly sweet pork, shredded and bound with a BBQ sauce is encased in a brioche bun. A mound of red cabbage slaw adds texture and some Asian notes. Mad.Good Café features a small menu designed to please. Colour, texture and of course flavour are balanced and considered in each dish. The simple but comfortable surroundings allow the food to shine. This family business oozes integrity, enthusiasm and ambition. They certainly have a sound foundation in the Mad.Good Café and it’s certainly worth a visit. Adelaide Food Central would like to thank Reine and Asa for their hospitality and for a very enjoyable brunch.